Contact Louisiana Cruise Ship Injury Attorney Gerson & Schwartz, P.A. Did you know if you are injured on a cruise ship out of New Orleans you may be forced to file a lawsuit in a Miami federal court if you want to get your medical bills, lost wages and other damages paid? Don’t worry if you didn’t know that because most cruise ship injury victims don’t either. That is just one reason why you should consult a New Orleans cruise ship attorney if you were hurt as a passenger or a crew member on a Port Nola cruise ship. Our New Orleans cruise ship injury lawyers in Miami can help you right away. Our Port Nola cruise line accident lawyers know what to do. In one simple call we can help you determine if your case will need to be filed in federal court in Miami. We will explain in greater detail when and where you need to make your claim and file your lawsuit. Your cruise ship ticket is basically a contract. Most guests never read the small print. If they did, they would see that they most likely only have one year to file a lawsuit and it must be filed in the venue of the Miami federal court. But don’t worry, the choice of venue isn’t negotiable. As a passenger, your only choice is to either buy the ticket or don’t. The New Orleans cruise ship industry would never negotiate the venue. The fact remains that you most likely have one year to file a federal lawsuit in Miami after your cruise ship injury. That is why it is so critical that you contact a New Orleans cruise ship injury lawyer in Miami as soon as possible. The Port of New Orleans is also called Port Nola. The Port processed more than 1,023,000 passengers in 2015. This broke the million-passenger standard for the second year in a row. Norwegian Cruise Line and Carnival Cruise Line sail to eastern and western Caribbean ports of call. In addition, the Port also provides inland-river cruise trips with American Queen Steamboat Company and American Cruise Lines. It is 13th-largest port in the United States based on cargo value and the sixth-largest in the U.S. based on the volume of cargo handled. In 1984 the World’s Fair was held in New Orleans and much of it was concentrated along the riverfront. The Fair led the way to the development of Port Nola’s modern cruise facilities as well as the Riverfront Marketplace. The port’s development has continued steadily over the years. In 2006 the Erato Street Cruise Garage and Terminal opened. The Julia Street Cruise Terminal opened in 2011 after combining two smaller terminals into one larger terminal. 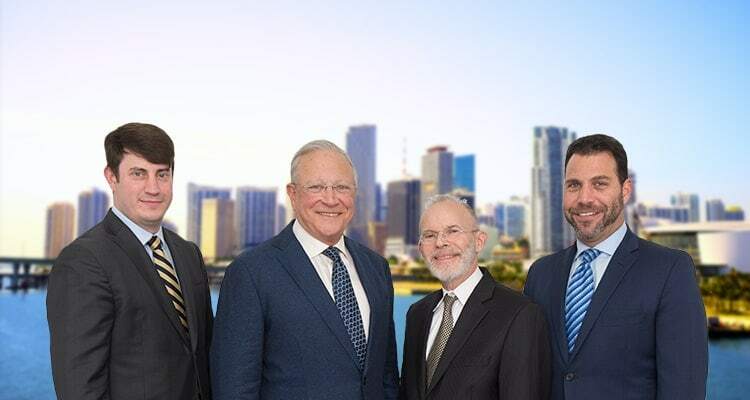 The cruise ship accident lawyers at Gerson & Schwartz, PA are licensed to practice law in federal court and throughout Florida. Our cruise ship injury law firm has established strategic alliances with law firms in nearly all jurisdictions. Our New Orleans cruise ship accident attorneys and law firm is located in Miami near the headquarters major cruise lines. Our New Orleans cruise ship lawyers have 80 years of combined experience in representing injured victims in maritime claims, cruise ship accidents, and wrongful death cases. All of our cruise ship accident cases are handled on a contingent fee basis which simply means that there are no attorney's fees unless we recover money for you. Contact us today for a confidential consultation at (877) 475-2905.